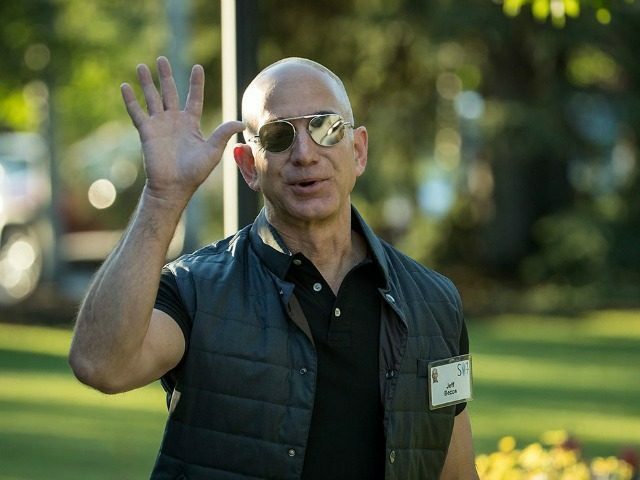 Amazon CEO Jeff Bezos has announced that he is building a 500-foot tall clock inside a West Texas mountain. Jeff Bezos announced plans this week to build a massive clock inside a West Texas mountain. In a blog post, Bezos explained the reasons for the construction of the giant clock. Bezos explained that the clock will serve as a symbol for “long-term thinking.” The clock will tick once each year and a century hand will advance once every 100 years. The clock even has a cuckoo bird that will come out each millennium. We are building a 10,000 Year Clock. It’s a special Clock, designed to be a symbol, an icon for long-term thinking. It’s of monumental scale inside a mountain in West Texas. The father of the Clock is Danny Hillis. He’s been thinking about and working on the Clock since 1989. He wanted to build a Clock that ticks once a year, where the century hand advances once every 100 years, and the cuckoo comes out on the millennium. The vision was, and still is, to build a Clock that will keep time for the next 10,000 years. I’ve been helping Danny with the project for the last half dozen years. As I see it, humans are now technologically advanced enough that we can create not only extraordinary wonders but also civilization-scale problems. We’re likely to need more long-term thinking. Bezos announced that construction is already underway on the massive clock. The project, which has been in the works for over three decades, has not set completion date. Bezos has been involved with the project’s original designer, Danny Hollis, for the past six years. Bezos launched a website specifically for the clock, which will provide updates as construction on the project continues.